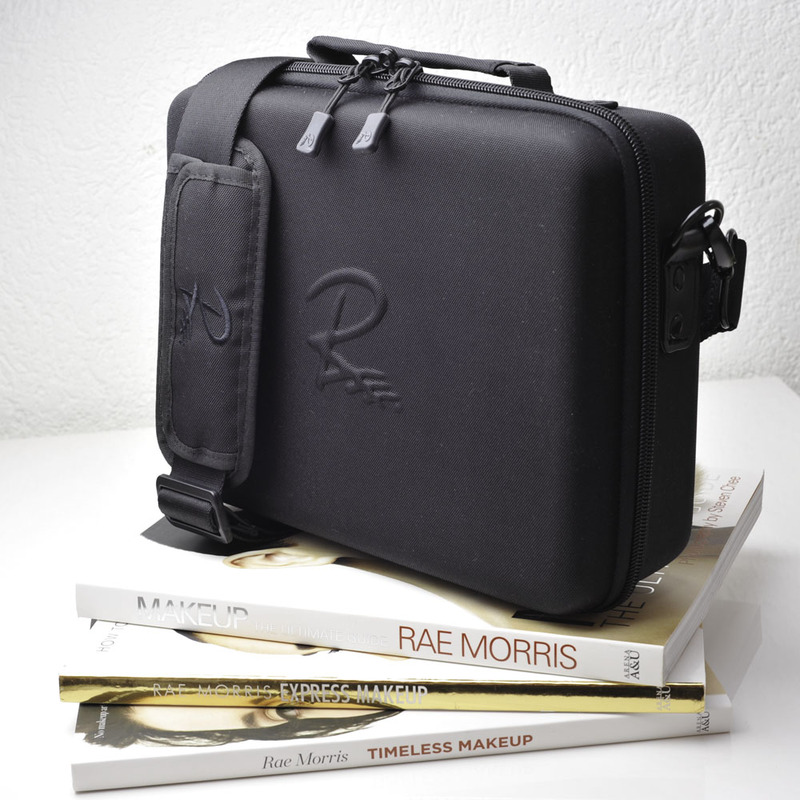 I got this Rae Morris Travel Case in December 2014 just after its first launch, it’s one of those gifts that makes me scream and jump with joy, seriously, I love it, I was thrilled! So you see why this is the one, you can put it on your shoulder or across and it’s not super thick, it’s neutral yet intriguing, it doesn’t look like I left the house with two handbags or that I am carrying a separate beauty case for my make-up HAHAAAA but I DO 😀 It is easy to carry but quite heavy which doesn’t bother me actually. My handbag is way heavier. I have issues with lightweight handbags anyway, they slide and don’t stay put on my shoulder. 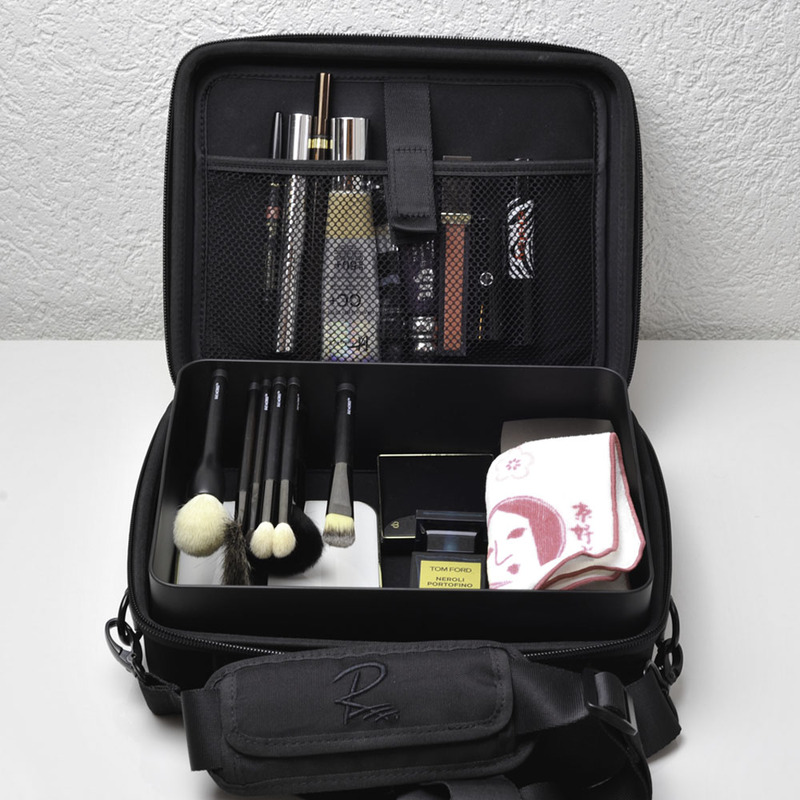 In the same collection, there is a travel case and there is also a steel frame that Rae released to hold the magnetic brushes. For more details please hop here. 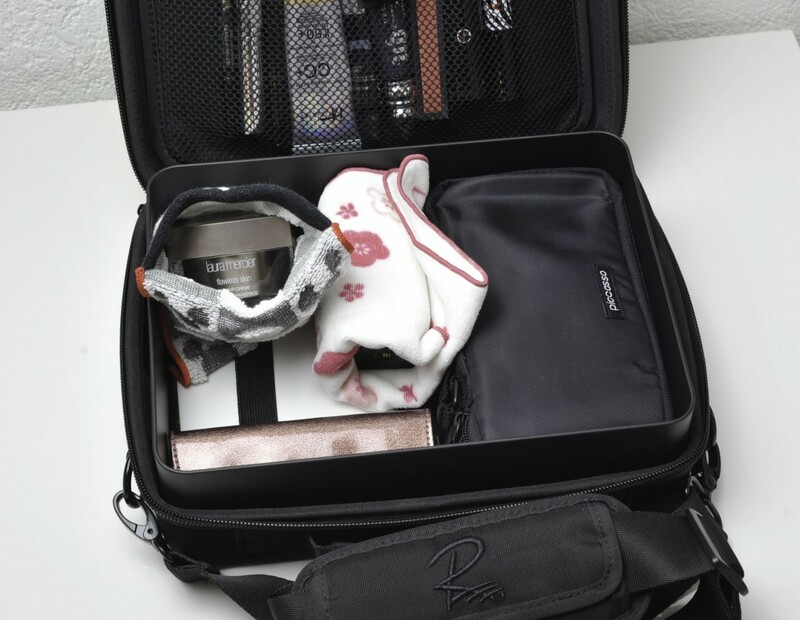 This is the case without the frame inside, the side with the mesh has a velcro to secure the contents, the bottom part has one black elastic on each side where you can slide and secure things, here you see the white Tom Ford palette inside it. It gives a more realistic idea of the size with things inside. 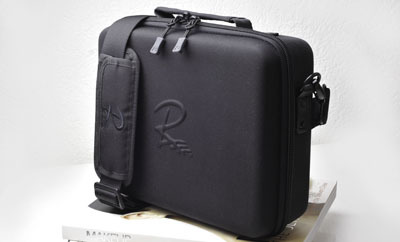 Even if you are not carrying the frame inside the case, the sides of the case are solid and will protect the contents. This case measures 250mm wide x 190 high x 77 deep, in the next pic, you can see the Rae frame inside it. When I received it, it had very recently been made and still had a strong factory smell, a bit like a brand new car, some like it, some not but if that bothers you, just so you know today that smell is all gone. It’s half the size of a laptop case. I weighted all the contents here with the frame and the total weight is approx 2.6 kg, so I think you could get away with a “fully loaded” case at approx 3kg, the frame actually adds 925 g to the case and contents. The empty case without the frame weights 600g. The contents may move around while in transport so to avoid accidents, I wrap my perfume in the tissue I use to clean my brushes and the cream into a little towel pocket. The brushes and small palettes are in the Picasso pouch on the right, it fits perfectly sideways. I guess you could carry the brushes just attached to the frame but they will move so better keep them safe in a pouch. By the way, I have pictures of this Picasso pouch ready in draft post so if you are interested I can publish it. Here the frame at work, I use the two levels of the frame to store the brushes, the eyeshadow brushes on the top level, the face brushes in the lower one. The upside down brushes are drying. Beautylish.com is going to carry Rae Morris brushes but in the meantime I have listed here the details where you can find the Rae collection. 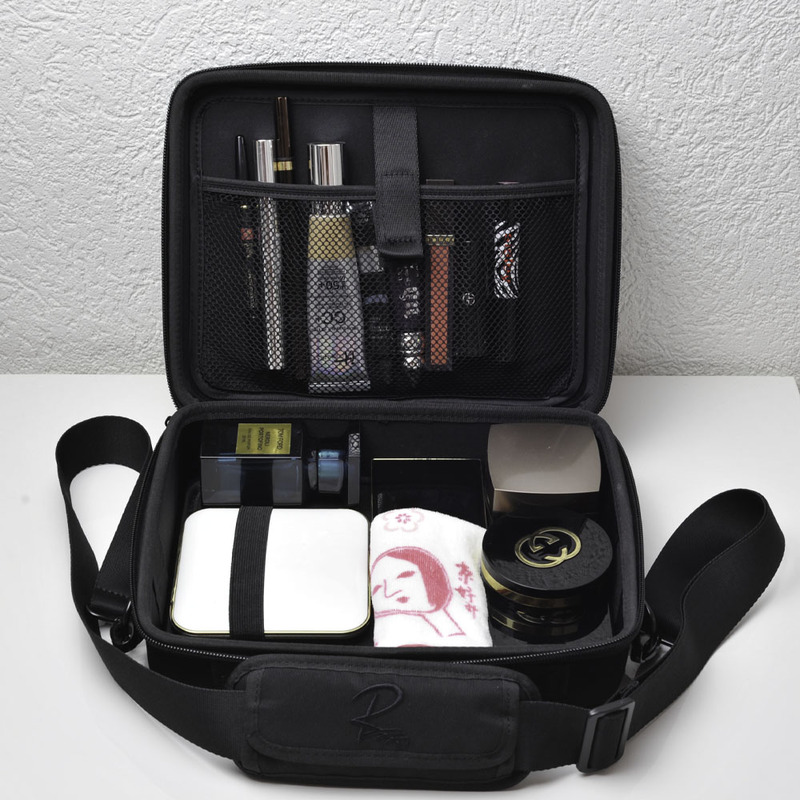 Rae Morris Travel Case and Frame was last modified: February 27th, 2015 by Sonia G.
Si, la he usado para eso, no es la que prefiero para la base liquida por que tiene el pelo un poco demasiado largo y no me da suficiente control, pero puede valer, esa brocha sabe hacer muchas cosas y me sorprendio que despues de haberla usado con base liquida que no pareciese super sucia, pero prefiero las otras, tendras mas control y fuerza en la aplicacion. Si puedes coger la Houkodou o la Fu-pa01 (pero la de pelo blanco que es igual que la Houkodou), me parece que te iria mejor para la base liquida. Pero son brochas muy suaves, primero hay que aplicar la base con los deditos o une brocha plana y luego utilizas estas para terminar y dejar la aplication perfecta. Si te gusta la Wayne 13, a mi me es esencial pero para otras cosas, blush, polvos, etc.. I will like to see the one for the Picasso pouch. This is such a great case! I love how the brushes are magnetised. 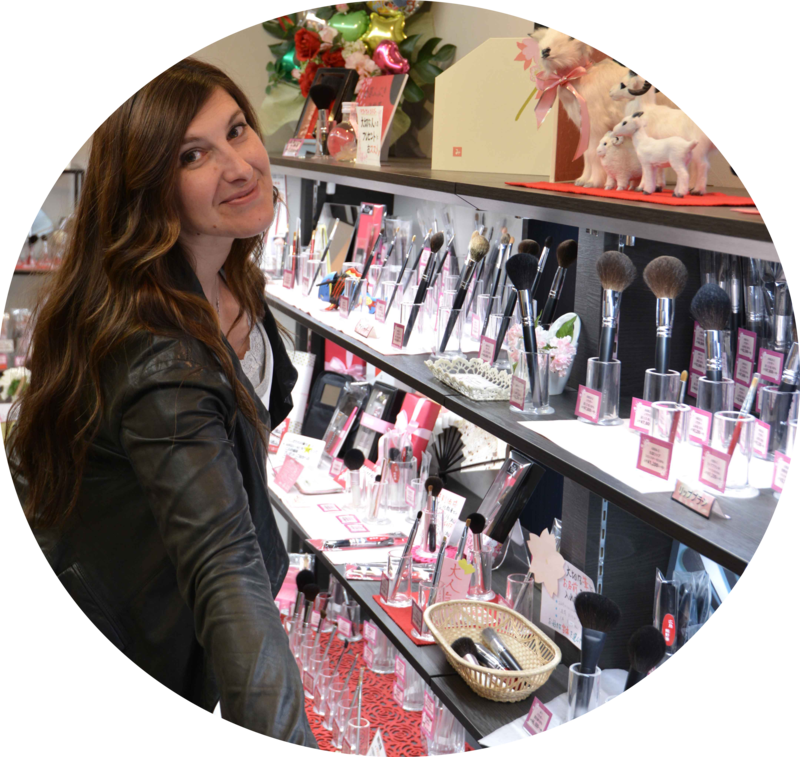 How do you rate the Rae Morris brushes compared to Hakuhodo? 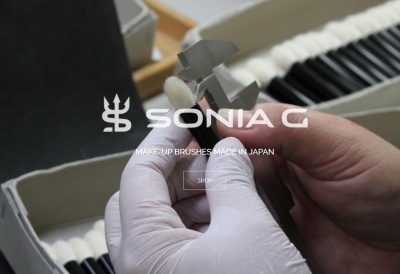 They are totally different brushes and they are not made in the same country but they are both good and very efficient. I love Hakuhodo in terms of quality but it depends also what series we are comparing… I adore the S100 series, the aesthetics are insane because vermilion has a huge place in my heart but in terms of “brushes I can’t live without in my day to day life” Rae is much better positioned. It’s better to have a combination of several brands that will fit your very own needs and it’s good that Hakuhodo have so much choice in materials and shapes. Each brand has its strengths, Hakuhodo have many many many good brushes but Rae has a few that are simply absolutely genius. Such a beautiful gift! I remember my mom’s squarish box with tiny handle…so glam but kinda bulky for what she put in there. I always thought she could fit a couple of sandwiches in there, too. I travel with less and less as I get older, more of a necessity than a choice. It’s such a pleasure to come home and reunite with my bed, clothes, brushes and makeup. So you are not planning a Japan trip? Hello Kay, you remember it too? argh that was bulky and not practical at all, I used to play with my mums but the items ended just layered on top of each other 😀 hahaha for sandwiches good idea!!! I ordered the square kabuki from Beautylish last night and it has already shipped. I love Rae’s brushes but the shipping costs from Australia was high. 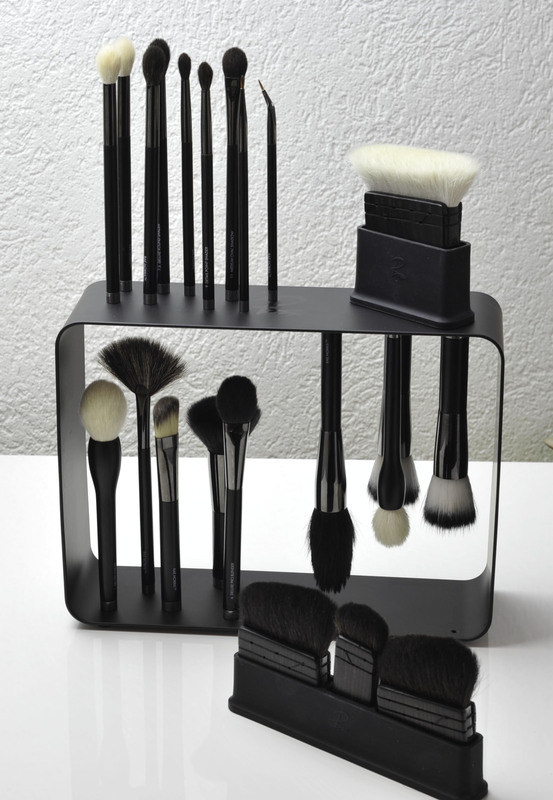 The case is really cool, seems like you can do a lot with it, from displaying your brushes to drying them. It is a very handy case, will not leave my side now 😉 you will love that kabuki!